In case I hadn’t mentioned it already, I bloody love Slimming World. Writing about food for a living definitely took its toll in terms of weight gain…and after joining my local Slimming World group in January 2016, I managed to lose a grand total of five stone in 33 weeks. The best part about it? It wasn’t all about calorie counting, nothing whatsoever was banned, and I could still go out for dinner. Result! And it’s also been great in terms of challenging me to come up with Slimming World-friendly versions of our favourite meals – one of which is hunter’s chicken. On Slimming World, you can eat as much lean meat (all visible fat removed) as you like – with no restrictions on quantities! The lack of need to measure things is part of what I love about the plan – and the fact that it’s so easy to buy great value lean meat with a nice low fat content. 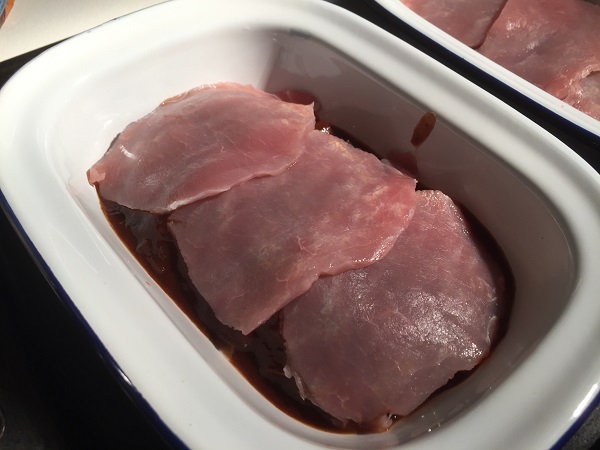 For this recipe, I used chicken breasts and bacon (fat removed before cooking) from LiveLean’s 82-piece Best of British Super Lean Meat Hamper which, as I’m sure you’ll agree, is seriously amazing value for money. All of their meat is from high welfare farms too, which makes me very happy indeed. So, onto the recipe. Seriously – what’s not to love about the combination of chicken, bacon, barbecue sauce and melted cheese? Well…the calorie content, I guess, if you’re watching your weight. So, using an adaptation of a Slimming World BBQ sauce recipe, low-fat cheese and bacon trimmed of all fat, here’s my slimmed down version. 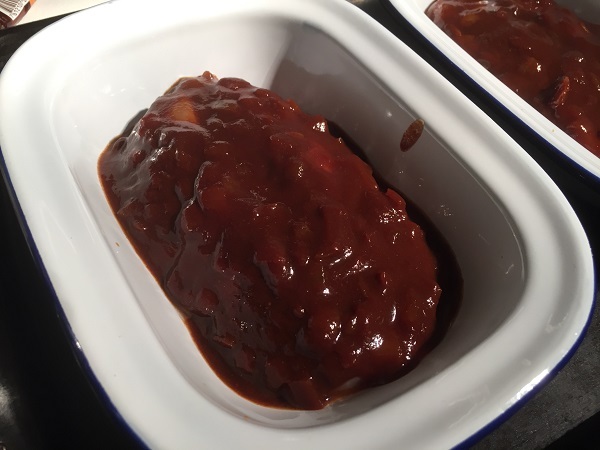 The quantities below make more BBQ sauce than you’ll need for this recipe – but I tend to freeze leftovers so it’s easy to make this again down the line! We serve our with chips made in our Airfryer, and plenty of salad. 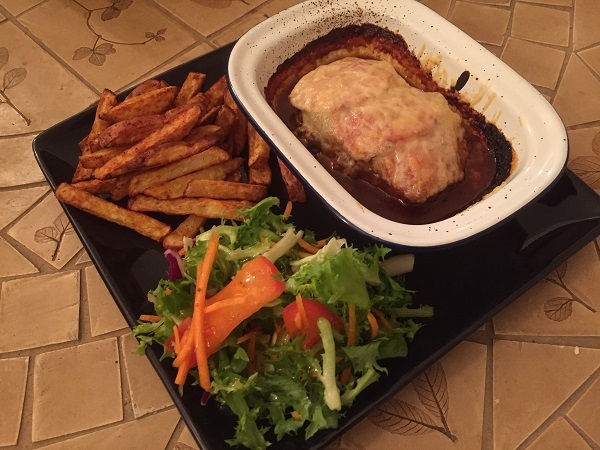 If you’re following Slimming World, you’ll be pleased to know that this is syn-free hunter’s chicken – as long as you’re using the cheese as your Healthy A choice. 1. For the sauce, spray a medium saucepan with the Frylight, and cook the onion and chilli powder on a medium heat until soft. Once soft, add the rest of the ingredients, bring to the boil, then reduce to a simmer. Cook for around 15 minutes until the sauce has thickened and reduced. 2. Preheat your oven to 200C / Gas 6. Slice your chicken breasts down the middle: not all the way through, just enough to open them out. Place in individual oven dishes. 3. Spoon as much sauce as you’d like over the top of the chicken, being sure to fully coat it on all sides. 4. Lay three bacon rashers over the top of each chicken breast, and put in the oven. Cook for 20 minutes. 5. 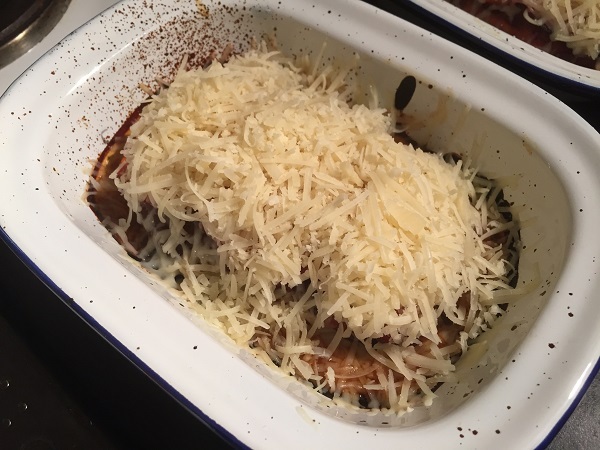 After 20 minutes, remove from the oven and top each dish with half of the grated cheese. 6. Return to the oven for 10 minutes, until the cheese is melted and golden. Serve with the potatoes and veg of your choice! Fantastic! This must taste extremely yummy, thanks for sharing.